Italian food receives more fanfare than any other ethnic cuisine for good reason. From pizza to pasta, gelato and wine, Italian food simply can’t be beat. Let’s take a look at some facts about these popular culinary creations that most people are unaware of. Traditional Italian pasta is rather rigid compared to American versions. Italians cook pasta “al dente”, meaning that it is removed from the cooking pan and served once it has reached its ideal texture. Plenty of Italian chefs will throw a few pieces of cooked pasta against the wall to see if they stick. Once sticking occurs, the pasta is ready to eat. Aside from tasting better, al dente pasta is also significantly easier for the digestive system to process than the overcooked pasta that most amateur chefs make. The average American thinks that authentic pizza has medium to thick crust. This is the result of American cooks manipulating the traditional pizza recipe into their own unique versions. The truth is that the vast majority of pizzas served in the United States are nowhere near authentic. Real Italian pizza is distinguished from most American versions by its comparatively thin crust. Authentic Italian pizza is referred to as pizza margherita. It is quite basic, featuring dough, tomato sauce, mozzarella cheese and basil. Countries across the globe have altered this simple recipe into fancy versions that betray the food’s roots. Foodies will also find it interesting to know that pepperoni pizza is an American twist on traditional Italian pizza. In Italy, “peperoni” as they spell it, actually means bell pepper. Contrary to popular opinion, Fettuccine Alfredo does not represent traditional Italian food. Legitimate examples of Italian pasta dishes are lasagna, ravioli and spaghetti with meatballs. Those creamy and cheesy Alfredo dishes certainly taste good yet they are primarily served in Italian restaurants in the United states rather than Italy. Few know that this dish debuted in 1914 when Alfredo di Lelio trademarked it. The dish exploded in popularity at his New York restaurant and was soon copied by chefs throughout the United States. Yet few Italian chefs in the homeland added it to their menus. A considerable percentage of Italy’s population consumes espresso. Many drink it for breakfast and after lunch/dinner. Yet true espresso does not contain flavor shots like those added to most American versions of the coffee. Real espresso does not contain milk either. If you order a latte version of anything in Italy, you would likely be served with a glass of plain milk. When it comes to chowing down on Italian food, plenty of people proceed with what is best described as reckless abandon. The truth is that there are a number of unwritten rules when it comes to consuming Italian food. Cappuccino and espresso are enormously popular amongst Italians. Yet cappuccino is not meant to be consumed beyond the breakfast hour. Native Italians will testify that cappuccino is strictly reserved for the morning. A true Italian will shudder at the thought of drinking cappuccino after lunch or dinner. If you head on out to a legitimate Italian restaurant or cafe for breakfast, you will likely observe little eating and plenty of drinking. Devouring a breakfast plate full of eggs, bacon, toast and home fries is not something that real Italians do. Italians typically enjoy coffee, espresso or cappuccino in the morning. Some will pair one of these beverages with a cornetto (the Italian version of a croissant). Step foot in any one of Italy’s restaurants and you probably won’t see too many people dipping their bread into olive oil. Slathering olive oil onto bread products is a phenomenon that developed in the United States and other countries. Italians certainly love olive oil yet it is not meant to be a dunking sauce for bread. Few Italians eat bread before a meal. We all love bread yet it is meant to be enjoyed with the actual meal itself, not in advance of the main dish. Many Italians will intentionally save their bread to clean up leftover sauces that remain on the plate. Italians typically view coffee as a digestive aid. Ordering coffee before a meal or alongside a meal rarely occurs. Real Italians don’t put parmesan cheese on their pizza. Parmigiano, as the Italians call it, is meant for pasta dishes. Mozzarella cheese is meant for pizza. Some Italians will even frown upon adding parmesan cheese to dishes where it is not called for. The bottom line is that if parmesan cheese is not offered, it should not be added to the dish. Italians frown upon the activity of rushed eating. Food is meant to be savored in a patient manner. One who eats snacks or meals while multitasking or traveling is unable to truly enjoy flavors. Furthermore, such rushed eating is considered to be sloppy and a bit pathetic. Italians value food to the point that many meals last two to three hours in length. The only exception is gelato. Plenty of Italians will enjoy gelato during an evening stroll around the neighborhood. Eating Italian food has never been better. Here are 5 of the best things L’Amore Italian Restaurant has to offer you! Step into a Romanesque aura of authentic cuisine, home-made dessert and cultural sharing. 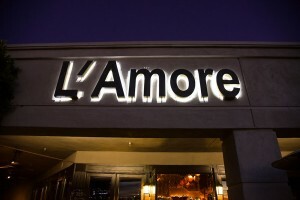 L’Amore gives every guest a warm and welcomed feeling that exudes comfort combined with service. Customers are greeting with live entertainment Thursdays through Saturdays and have the option of being served at a lovely tree lined patio under the stars. As a family owned business, L’Amore staff feel that every guest deserves quality service with a personal touch. It’s rumored that the prize delight at L’Amore Restaurant is their Cioppino – it keeps people coming back for more! The wide variety of excellent dishes is only surpassed by the special attention to the quality of the food. Entrees include tortellini, Chilean sea bass (a special), stuffed sausage ravioli, chicken, parmesan and eggplant parmigiana. Some of their appetizers are Calamari with special sauce, red sauce and spinach and also bruschetta. At the bar you have a choice of alcoholic or nonalcoholic beverages such as Reisling, orange juice, chocolate martini, Asti Spumante and Vin Santo and Merlot. No meal is complete without dessert, these include gelato, affogato and Tiramisu. The interesting aspect of L’Amore is that it is Old Country European meets Old West; the restaurant is set in the heart of Arizona. Outside diners have a glorious view of the Phoenix Mountain Preserves. Rather than picking up a fast pizza, or eating at a commercialized establishment, those who have a ‘feel’ for real Italian food in a relaxed setting will not be disappointed. This infotainment and social tool clearly marks L’Amore as an establishment a cut above the rest. Not only do you get step by step instructions on how to make some of the best Italian desserts, you will also be inspired by the history of Italian food, information about the healthful benefits of the basic element of most Italian dishes – the tomato and which wines are best served for the various courses of the meal. Each blog entry will give you knowledge and interesting facts based on Italian food from cultural and social aspects. 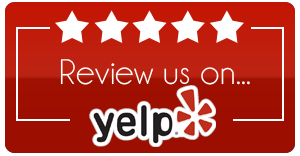 The proprietors at L’Amore aren’t satisfied unless they are positive every feature of their restaurant is quality service perfect! Customers who are planning private events or birthday parties will find L’amore ready and willing to assist, providing the necessary seating and even the birthday cake! Those who want to enjoy L’Amore’s food in the comfort of their homes can order take-out. If you are having a family gathering of festive occasion, L’Amore will cater your event.